A growing Midlands software company has significant expansion plans having been acquired by a group of investors for an undisclosed sum. Dynistics Ltd provides business intelligence dashboard reporting software, consultancy and training to a growing client base and has been acquired by a four-strong consortium of individual investors. 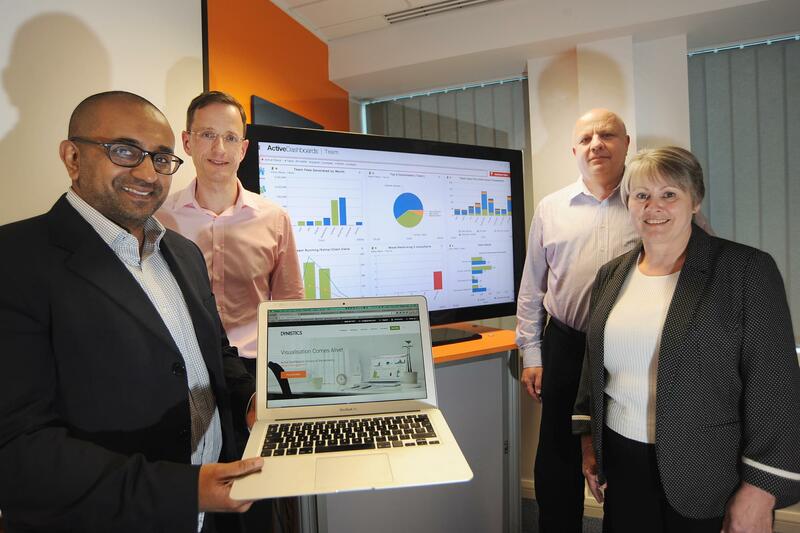 The firm, based at the University of Warwick Science Park’s Blythe Valley Innovation Centre in Solihull, has established a strong foothold in the education, recruitment, financial services, IT, telecoms and property sectors with its Active Dashboards software. Active Dashboards’ unique universal connectivity means it can take data from multiple systems and data sources, analyse and present information in easy to interpret graphical formats to suit a company’s specific needs. Farhan Lalji, Chief Operating Officer at Dynistics, said: “The company has built a really strong footing in a range of sectors, which caught the attention of the investors, who all have vast experience in the IT product industry and are eager to build on this success and help take the business to the next level. “We’re putting steps in place to accelerate the growth of Dynistics and move into new sectors, and in time export into Europe, the Middle East and further afield. Dynistics has been based at the Innovation Centre for 14 years, and also has an operation in central London. Mark Homer, centre manager at the University of Warwick Science Park’s Blythe Valley Innovation Centre, said: “Dynistics has achieved fantastic success while with us at the centre and it’s great to see the company expanding and the exciting plans it has for the future under the new senior management team.